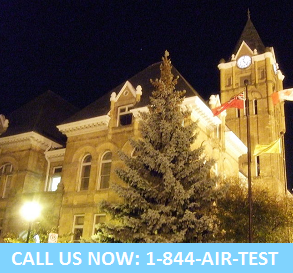 With over 22 years experience, expertly trained and certified professionals at Air Quality Solutions have become an industry leader for both residential and commercial air quality testing services in the London and St. Thomas area. In fact, we like to think of ourselves as your local St. Thomas air quality testing experts. We CARE for the air you breathe, and work to help uncover hidden airborne contaminants that may be present within your home or business and impacting your productivity, quality of life, and even your health! All you have to do is pick up the phone….a certified member of our indoor air quality testing team is standing by to help! Let the professionals at Air Quality Solutions show you how a small investment into professional air quality testing can far outweigh the costs. Once you contact us, you can breathe a sigh of relief! This is our guarantee.